majestic temple of Angkor at the time of Suryavarman II. 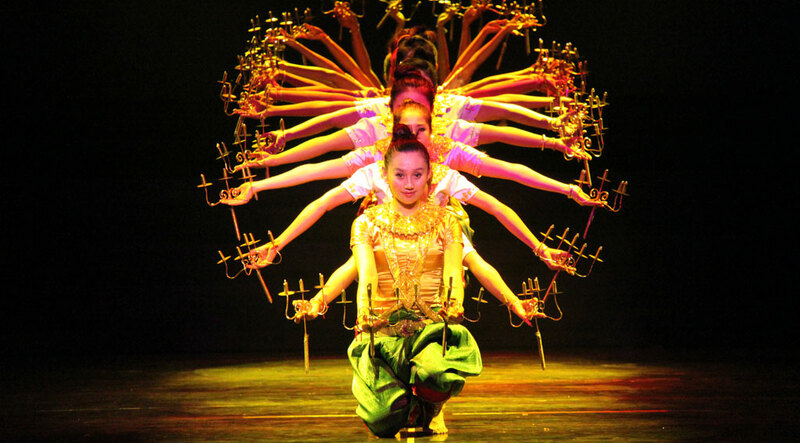 It is the first Grand Epic show that recreates the Angkor Civilization in all its glorious aspects. 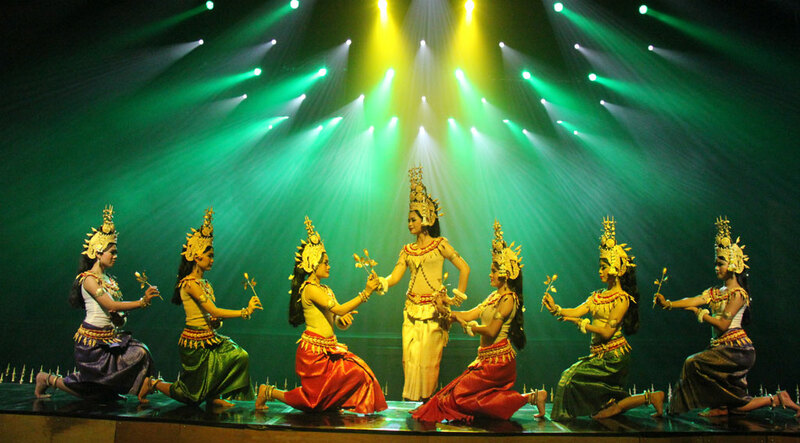 Our show takes you on a journey from foundation to prosperity of Angkor and the worldwide famous Angkor Vat, through folk tales to ancient customs, from past to present. 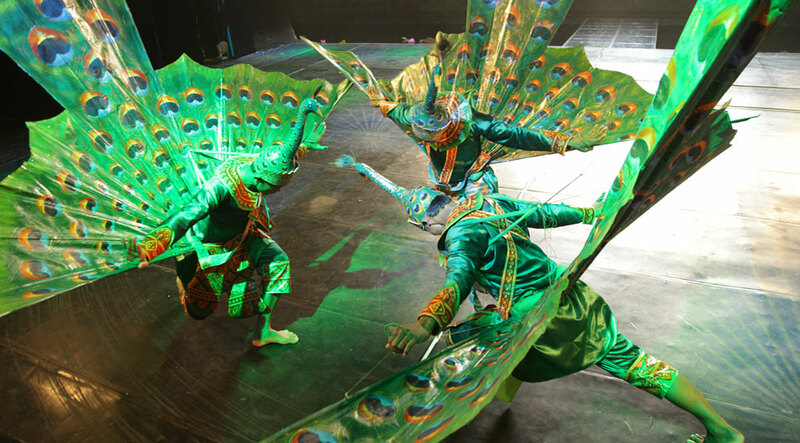 The performance contains traditional Cambodian dances such as Apsara Dance, Peacock Dance, Shiva Dance, Bokator (traditional Khmer martial art). Click on the ticket to book one of our packages! SPECIAL DISCOUNT FOR EVERY ONLINE BOOKING, click here for more information! 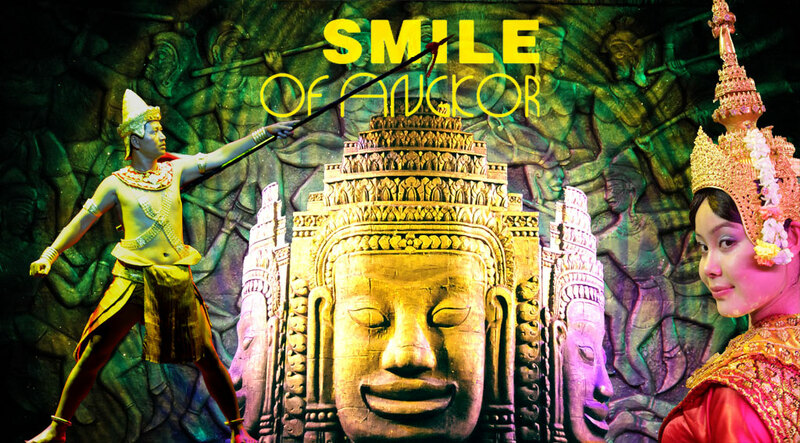 Smile of Angkor, an evocation of life in the majestic temple of Angkor Vat at the time of Suryavarman II. The show is 70 minutes long and is divided into six chapters: “Dialogue with God”, “Glorious Kingdom”, “Resurrection of the Gods”, “Churning the Sea of Milk”, “Prayer for Life and “Smile of Angkor”. CHECK OUT THE STORY HERE ! It is said that there were 54 towers with 216 faces of Buddha (Avolokitesvara) in Bayon Temple, but only one of them is smiling. This smiling face freezes thousands of years of history and has become one of the most recognizable images of classic Khmer architecture.